Trey and Ashleigh have coached CrossFit and trained others for about 4 years now. They first discovered CrossFit in their little home town of Marshfield, Missouri. They loved the challenge, moving heavy weight, and the time it gave them together. It has since become their life’s goal to help people become stronger, more capable, and just all-around more awesome through fitness. Trey first started coaching as a personal trainer. He hesitantly decided to try CrossFit with a lot of prodding from his cousin. He thought he was in good shape until he was floored by a simple workout made up of a squat-press combo and pull-ups. He was hooked. He started running faster, he was getting stronger, and he just felt fitter. That’s when he knew he had to share this with people. His wife, Ashleigh, was one of the first clients he tried this thing on. She loved it. She was gaining muscle and she looked great! Even better, she discovered how empowering CrossFit was. Through this program, she found beauty in strength and a passion for health. Now, Trey and Ashleigh run CrossFit Nexus to help people become a healthier, stronger, more capable version of themselves. They constantly strive for excellence and aim to pass this on to their members. If you would like to meet them, please don’t hesitate to reach out! They would love to hear your story. Sam has been a fitness Coach for 4 years. He first tried CrossFit with his roommate when they were both searching for a place they could challenge themselves and each other. This first CrossFit gym was where Sam met Trey and Ashleigh. Sam quickly hit it off with his new friends realizing they shared his passion for health and fitness. He also started to see performance gains he hadn’t had since college. Sam fell in love with the competition and community that CrossFit has; this had been missing in his own fitness journey since he finished his collegiate basketball career. Sam started in the fitness industry as a Certified Strength and Conditioning Specialist for the University of Missouri – Kansas City athletic department helping to design and implement their training programs for their Division 1 athletes. From there he went into small group training and personal training at a small private studio in south Kansas City. He did this for a year during which he started training with Trey and discovering CrossFit. 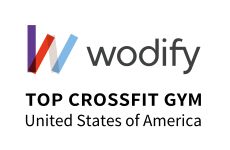 This discovery of functional fitness and the training philosophies drove Sam to switch to a new gym, this time an unaffiliated box where he taught CrossFit-like functional fitness classes. He taught there for another year before coming to join his friends Trey and Ashleigh at CrossFit Nexus. During Sam’s experiences across multiple fitness realms he found a passion for healthy eating. Any goals whether weight loss, performance gain or something in between; it all starts with a strong foundation in movement and nutrition. Sam knows the value of putting movement and nutrition first and loves helping others re-learn eating habits and moving well to build this healthy foundation. Now Sam is imparting his passion for nutrition and fitness while wearing colorful socks, full of caffeine, talking a lot and loudly early in the AM. Schedule your free intro and come meet us! We’re here to help! Get in touch and let us know if you have any questions.